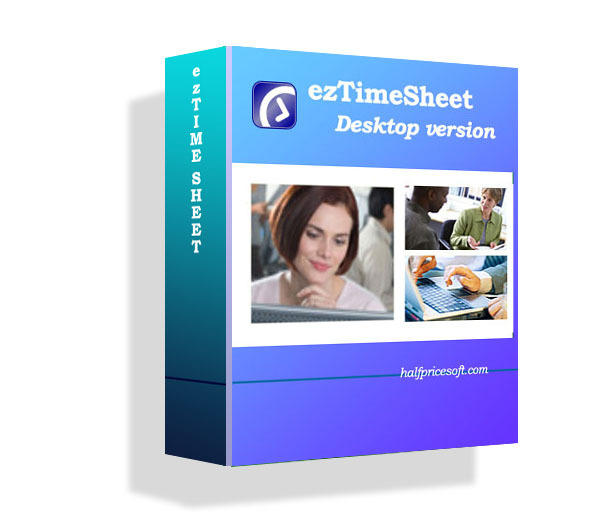 Can ezPaycheck payroll handle multiple payroll rates in the same period for one employee? 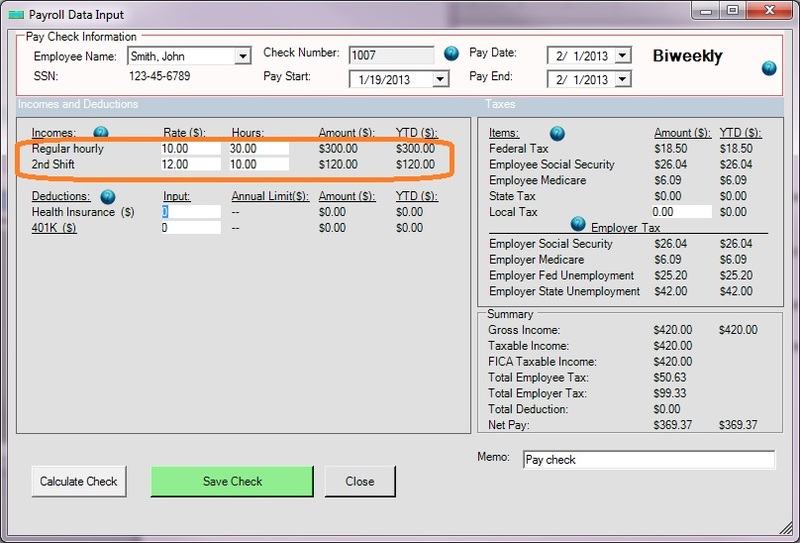 EzPaycheck payroll software is very flexible. 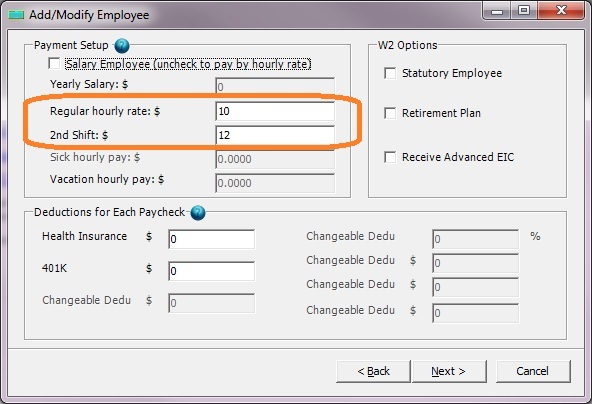 Yes, it can handle multiple payroll rates in the same period for one employee. Employee XYZ works for two shifts during the same pay period. The pay rate for the first shift is $10. The pay rate for the second shift is $12. 1. 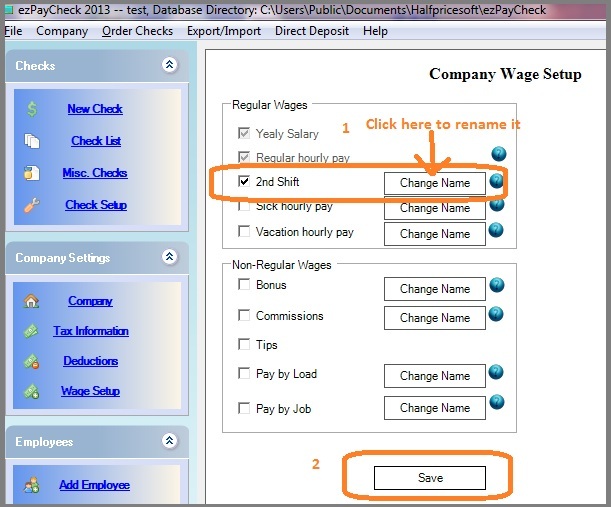 Start ezPaycheck, click the left menu “Company Settings”, then click “Wage Setup” sub menu to open Company Wage Setup Screen. - Check one Regular wage item, then the “Change Name” button to rename it. You can rename it to “2ND shift” or other name. 4. Add a new check and enter the hours there. New users can try ezPaycheck 30 days free. No credit card needed and no obligation. The standard deduction is $3,900 per year (For Year 2013). How to Calculate 2011 Federal Income Tax Manually? Some small business owners are still calculating the taxes manually. Following is the step by step guide on how to use federal tax table and do it manually. Karen is the employee of company ABC. She lives in Arizona. Her withholding rate is married/withhold at a single rate. She has two exemptions and no extra withholds. She gets paid $10 per hour biweekly. She works 64 hours for each pay period. The standard deduction is $3700 per year (For Year 2011).